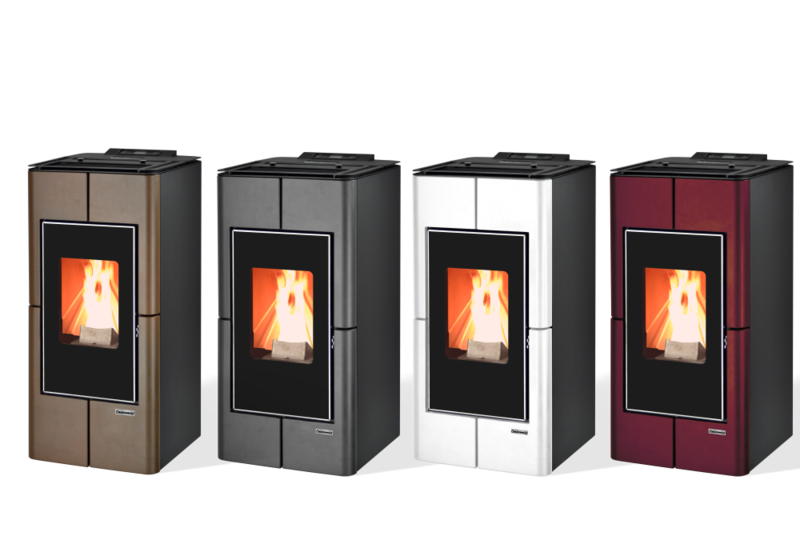 Pellet firing stoves Centropelet ERMETICA 98ZHE 6, 98ZHE 8, 98ZHE 10CAN, 98ZHE 12CAN are hot air wood pellet firing stoves with very high efficiency (up to 98%) that heat the room with hot air using a fan built in the stove. They are made of steel with modern design. CentroPelet 98ZHE 10CAN, 98ZHE 12CAN have the possibility of channel hot air distribution in near rooms. The delivery standardly includes a digital control that can be used for controlling the operation of the stove. These stoves with their modern round lines fit perfectly into your home. The pellets are automatically supplied by sling conveyor and burned automatically with electric heater. Models with “CAN” in name, have the possibility of channel air distribution in near rooms.